I introduced Boxtera snacks last month and this month we are back with a new box of deliciousness and a great new giveaway! Boxtera offers foodies a unique way to discover, receive and snack on the best gourmet products found on the market. Customers choose a monthly subscription of 5, 10 or 20 full-size healthy boxtera snack pouches which are delivered directly to their office, dorm or home door. These natural Boxtera snacks satisfy all the tastes of your gustatory perception; savory, sweet, sour, bitter and salty! Each boxtera discovery box includes five adventurous all-natural snack varieties that fall into one of the five taste categories included in your gustatory perception; savory, sweet, sour, bitter and salty. You can also find our individual snack pouches sold separately by visiting the Market Place! Banana Ribbons are a snacker’s dream come true! They’re sweet, but not too sweet! They’re chewy, but not too chewy! On top of that, they’re loaded with essential vitamins and protein, making them a fantastic energy-boosting snack in between meals. These pleasantly sour sensations are created wholly by nature without the use of artificial additives. We’re not exaggerating when we say our Mango Chews are the best! Always picked at precisely the right time for superb chewiness and fresh flavor, you’ll think you just grabbed a mango straight of the tree! Excuse us while we #nomnom. And our favorite snack in the Boxtera box this month are the Chasin' Cheddar Sticks. These are the bitter snack in the box this month but they don't taste bitter! They are cheddar deliciousness with a great crunch and I couldn't stop eating them once I started! Buy It: You can purchase Boxtera snacks subscriptions starting at $19.95 from Boxtera's website. 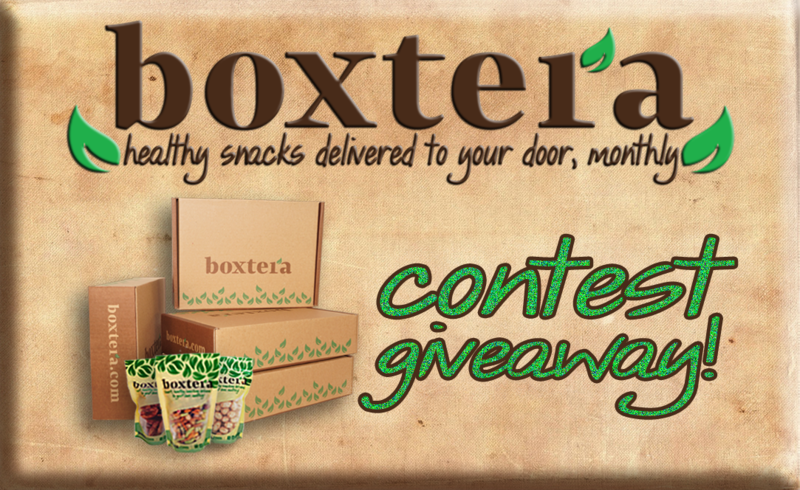 Win It: Boxtera is generously offering (1) Box of Boxtera Snacks to a lucky winner!